Put the ice cream back in the freezer. Stick the cookies on the shelf. Don't steal a taste from the tube of cookie dough in the fridge, either. 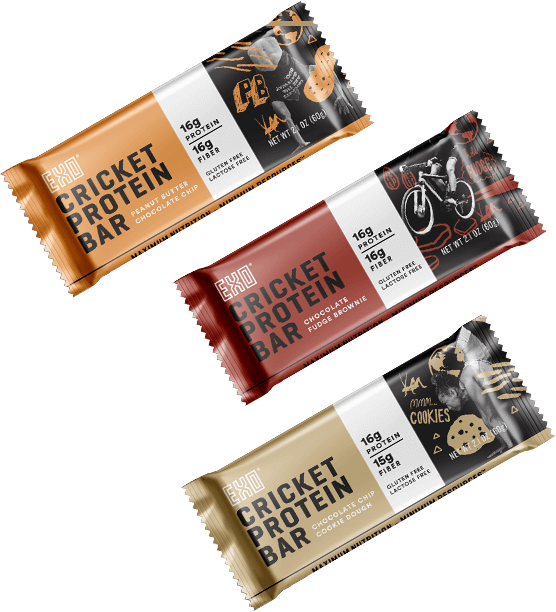 With Exo Protein's cricket protein bars, there's no need to go for the unhealthy stuff. You can enjoy all of the flavors without the empty calories. Cookie dough is usually unhealthy. As a protein bar, however, you get the taste without the bad ingredients. You're not dealing with flour or refined sugar, for instance, which means you don't have to deal with any sugar crashes after your snack. Our chocolate chip cookie dough protein bars are packed full of protein derived from cricket powder, along with the antioxidants of cocoa. When you need a snack that fuels you instead of leaving you fatigued, opt for a treat that's tasty but sustainable. Crickets are a healthy, eco-friendly source of protein and vitamin B12.